According to Christian tradition the seven deadly sins are: envy, gluttony, greed or avarice, lust, pride, sloth, and wrath. You can find a list and meanings of the seven deadly sins below. Lust is a strong passion or longing, especially for sexual desires. The Bible also mentions lust in the following verses: Job 31:1, Matthew 5:28, Philippians 4:8, James 1:14-15, 1 Peter 2:11 and 1 John 2:16. Chastity or self-control cures lust by controlling passion and leveraging that energy for the good of others. 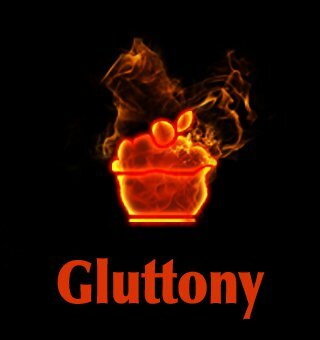 Gluttony is an excessive and ongoing eating of food or drink. Additional Bible references include: Psalm 78:17-19, Philippians 3:19-20, Proverbs 23:1-3, Proverbs 23:19-21 and 1 Corinthians 3:16-17. Temperance cures gluttony by implanting the desire to be healthy, therefore making one fit to serve others. Greed is an excessive pursuit of material goods. 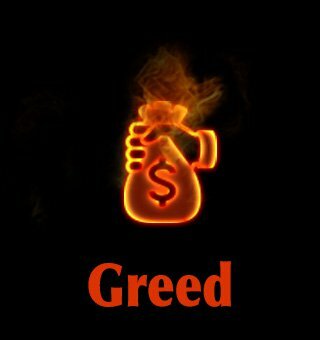 Other biblical texts which mention greed include: Exodus 20:17, Proverbs 11:24, Proverbs 28:25, Ecclesiastes 5:10, Philippians 4:6 and 1 Timothy 6:9-10. Charity cures greed by putting the desire to help others above storing up treasure for one’s self. 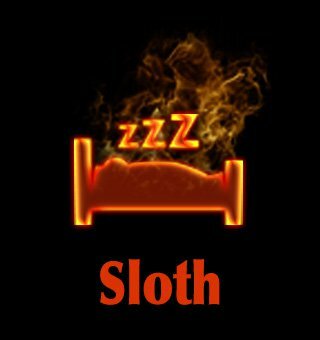 Sloth is an excessive laziness or the failure to act and utilize one’s talents. The Bible also mentions sloth in the following verses: Proverbs 13:4, Proverbs 24:33-34, Romans 12:11-13, Colossians 3:23 and 2 Thessalonians 3:10. Diligence or zeal cures slothfulness by placing the interest of others above a life of ease and relaxation. 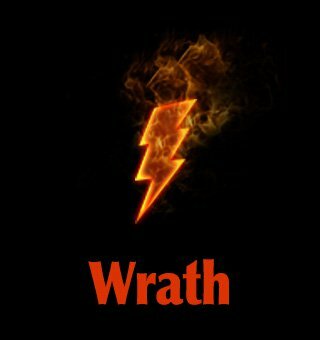 Wrath is a strong anger and hate towards another person. Additional Bible verses include: Psalm 37:8, Proverbs 14:29, Proverbs 15:1, Ephesians 4:26-27, Colossians 3:8 and James 1:19-20. Patience cures wrath by one first understanding the needs and desires of others before acting or speaking. 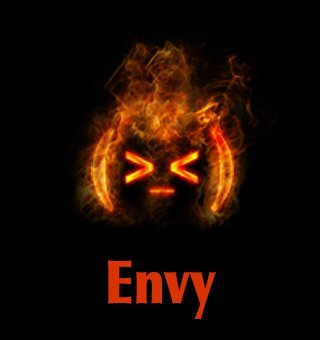 Envy is the intense desire to have an item that someone else possesses. Other biblical texts which mention envy include: Job 5:2, Psalm 37:1, Proverbs 24:19-20, Ecclesiastes 4:4, Galatians 5:26 and James 3:14-16. Kindness cures envy by placing the desire to help others above the need to supersede them. Pride is an excessive view of one's self without regard for others. 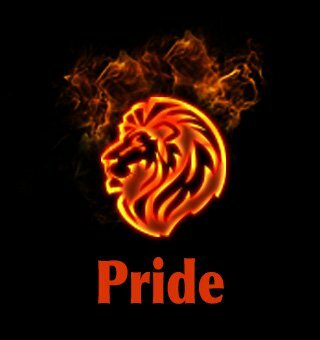 Pride is also mentioned in the following verses: Proverbs 8:13, Proverbs 16:18, Romans 12:16, 1 Corinthians 13:4, Galatians 6:3 and James 4:6-7. Humility cures pride by removing one's ego and boastfulness, therefore allowing the attitude of service. Quiz: What deadly sin are you? Please note, the early church classified the seven deadly sins as cardinal sins or capital vices and taught that they could not be forgiven. However, according to the Bible these 7 deadly sins are completely and totally forgivable by God, but this doesn’t give free license to commit these sins. Biblically, the only sin that cannot be forgiven is complete rejection of God’s grace which is outright rebellion against God, also known as blasphemy against the Holy Spirit. Each one of these deadly sins listed above has its root in the desire for more and the human need for excess. Each sin goes against the root of Christianity which is: love for God, love for our fellow man, and love for our bodies (keeping them as clean temples for God, 1 Corinthians 6:19-20). Paul writes in Philippians 4:11-12, “I have learned to be content in whatever circumstances I am.” This strikes at the root of each of these deadly sins. Paul in effect is saying that God can take care of our needs and there is no need to lust or desire after excessive things. What cures these deadly sins? The cure for these sins is the gift of a new heart that acts in accordance to the love and law of God. This new heart can only come from God. Ezekiel 36:26-27 says, “I will give you a new heart and put a new spirit within you; I will take the heart of stone out of your flesh and give you a heart of flesh. I will put My Spirit within you and cause you to walk in My statutes, and you will keep My judgments and do them.” Humanity's only hope is the miracle of a regenerated heart that acts according to the direction of the Holy Spirit to walk in God’s statutes and judgments. Personality Quiz: Which of the seven deadly sins are you? Power does not come from self to change the heart. On the contrary, this verse clearly points out that God alone gives you a new heart and causes you to walk in His ways. As this event becomes a reality in your life, the seven deadly sins of gluttony, envy, sloth, wrath, pride, lust, and greed will lose their power in your life. With the indwelling Holy Spirit in your life, you will instead desire to live a life based upon the principles of the Bible. The seven deadly sins were first compiled by Pope Gregory I around the year 600. They are pride, greed, lust, wrath, gluttony, envy, and sloth. Gregory also compiled a list of the seven virtues: faith, hope, charity, justice, prudence, temperance, and fortitude. The Bible would validate all of these concepts, but nowhere are they recorded in a list like this and nowhere in the Bible are they specifically referred to as the seven deadly sins or seven virtues. They do not pre-date the Ten Commandments which were given at Mt. Sinai around 1450 B.C. It is probably true that they were used extensively to teach principles from God's Word, particularly in the centuries before the invention of the printing press when the Bible was not available for the common man to read and study. Kindness = cures envy by placing the desire to help others above the need to supersede them. Temperance = cures gluttony by implanting the desire to be healthy, therefore making one fit to serve others. Charity or love = cures greed by putting the desire to help others above storing up treasure for one’s self. Chastity or self-control = cures lust by controlling passion and leveraging that energy for the good of others. Humility = cures pride by removing one's ego and boastfulness, therefore allowing the attitude of service.